Using Adaxes you can automatically send email and SMS notifications on practically any event in Active Directory. In this tutorial, you will learn how to configure Adaxes to send an SMS with the username and initial password when a new user account is created. Adaxes can deliver SMS messages through any SMS gateway service that supports SMTP and HTTP/S delivery. You need to have either an internal SMS gateway service or subscribe to an external provider that supports the Email to SMS or HTTP/S to SMS (REST API) feature. 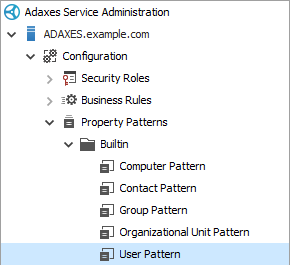 In Adaxes Administration Console, right-click your Adaxes service and click Properties. 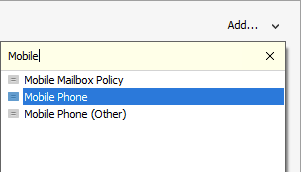 Activate the SMS Settings tab and check the Enable SMS checkbox. To automatically perform actions when a certain event takes place, you need to use Business Rules. Adaxes provides built-in Business Rule After User Creation that is triggered after a new user is created. 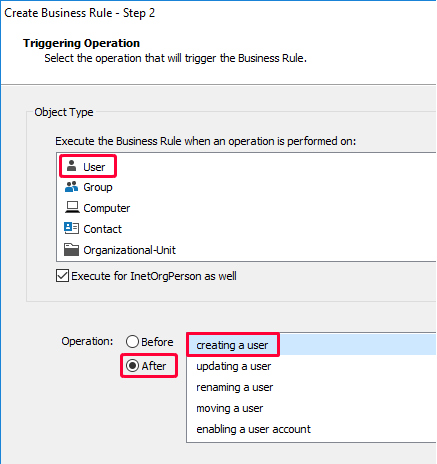 You can use the Business Rule to communicate usernames and passwords to users. 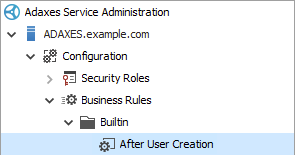 Alternatively, you can create a separate Business Rule that will send SMS upon user account creation. 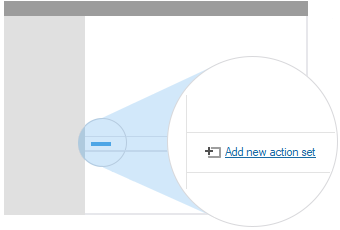 In the Add Action dialog, select the Send SMS action. In the To field, enter %mobile%. Value reference %mobile% will be replaced with the value of the Mobile Phone property of user accounts. You can use value references (e.g. %name%, %department%, %title%) in the SMS text. Before sending an SMS message, Adaxes will replace the value references with corresponding property values of the user's account. To include the user's password in the text, use %unicodePwd%. 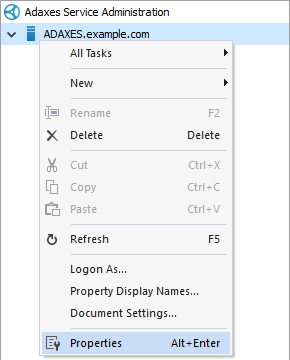 Right-click the action and select Add Condition in the context menu. Select the If <property><relation><value> condition. In the Condition Parameters section, specify Mobile Phone - is not empty. To ensure a mobile number is specified for users in Active Directory, you can use Property Patterns to make Mobile Phone a required field. In the section located to the right, click Add and select Mobile Phone in the drop-down list. It is highly recommended to force new users to change the initial password at the first logon. To force password change, the User must change password at next logon account option must be set. Using Property Patterns, you can specify the default values for user account options. For details, see Set Default Account Options for New Users. To prevent users from changing the default account options, you can customize the form used for creating user accounts. For details, see Customize Forms for User Creation and Editing. $smsText = "Username: %username% Password: %unicodePwd%"